People from all walks of life, from military veterans to movie stars, are currently living with some form of mental illness. Sadly, many encounter barriers when seeking the mental health services they need. Reaching out for help can be hard enough! Now imagine the unique set of challenges deaf people face when it comes to receiving mental health care. The risk of misdiagnosis increases dangerously without a clear line of communication and appropriate cultural mediation. Unless a qualified Mental Health Interpreter is utilized, deaf individuals are absolutely not receiving the same level of care as hearing people. Substandard mental health care services are dangerous because they complicate the treatment process and could lead to further trauma. According to a 2012 National Institute of Mental Health estimate, there are 43.7 million adults in the United States with a diagnosed mental illness, or 18.6% of the adult population. Mental illness is a broad term to describe a wide variety of diagnoses, ranging from social phobia to PTSD; and the mental health care field includes psychotherapy, psychiatry, counseling, social work, psychological testing, substance abuse treatment, forensic therapy, and more. If a person is in need of mental health services, it is important that they are able to access the correct medical professionals in a timely fashion. Since mental illness is not always a physical issue, clear and concise communication is necessary for diagnosis. Most health care providers do not have sufficient ASL knowledge to make a diagnosis or recommend treatments in sign language, so qualified Mental Health Interpreters are critical to this process. Mental Health Interpreters possess a unique skill set which enable them to ethically and responsibly facilitate communication between deaf patients and hearing entities. Mental Health Interpreters interact with people of all abilities and education levels. They are capable of engaging in a nuanced dialogue between healthcare workers and deaf patients, some of whom may have limited language or information deficits. 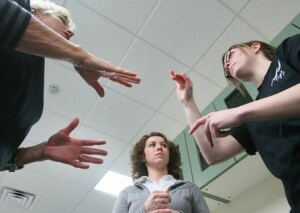 Mental Health Interpreters serve to bridge the gap and aid the deaf consumer. This means communicating in the preferred manner and on the appropriate level of the patient, working with a Certified Deaf Interpreter whenever necessary. Interpreters in this field must have a deep understanding of mental health terminology and fluency in related topics such as substance abuse or family violence. Some deaf consumers have a lifetime experience of mental illness, which makes it difficult for them to express themselves. This is important information for health care providers. 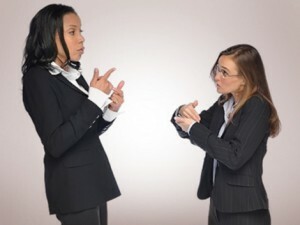 If a deaf consumer is dysfluent and not effectively communicating, the interpreter must not utilize their professional skills to cover the fact. Health care providers need to know exactly what the patient is communicating and how they are communicating it. A qualified Mental Health Interpreter understands the difference between speaking as the patient, and speaking for them. A qualified Mental Health Interpreter will have earned at least a BA in psychology and have detailed knowledge of DSM IV Classifications. It is important that these service providers have a strong fundamental understanding of human psychology, ranging from developmental disabilities to drug addiction. The ability to recognize symptoms of mental illness and appropriately respond to individuals who may be unstable is crucial for effective communication between interpreters and patients. It is important that these Interpreters understand the mental health care procedure, including diagnostic assessments and treatment options. They can help patients understand the purpose of specific tests, therapies, medications, and long term treatment plans. They are familiar with common practice and current trends; engaging in continuous professional development to fill gaps in knowledge. Interpreters who work in the mental health field must be prepared to work with individuals who come from all cultural, ethnic, and social backgrounds. A qualified Mental Health Interpreter has the training and experience to perform ethically, while still demonstrating compassion. In this particular field, interpreters are interacting with vulnerable and possibly volatile individuals, many of whom have experienced some form of past trauma. Mental Health Interpreters are culturally competent when dealing with those who have been victimized, those living with lifelong mental illnesses, or those who have a criminal past. These interpreters must be experts in observation and non-judgement, demonstrating a calm demeanor when confronted with emotionally triggering situations. Developing cultural awareness helps interpreters eliminate personal bias and provide language services more objectively. They must also understand the culture of mental health care professionals, how service providers interact with one another, and how they engage with patients. Mental Health Interpreters are familiar with the different types of health care facilities and do their best to work within the framework of the larger mental health field. Mental health care service providers should seek to work closely with Mental Health Interpreters both before and after a session. This ensures cross cultural competency and preparedness on all sides. 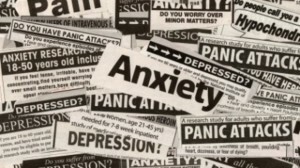 The mental health care field can be a high stress work environment. There are times when mental health care providers may be exposed to violence, verbal assault, sexual aggression, or other potentially triggering situations. 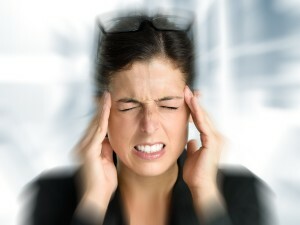 Working with emotionally fragile individuals, professionals in the mental health care field must develop techniques to cope with situations where their own wellbeing is compromised. A qualified Mental Health Interpreter has good physical awareness, meaning they are perceptive and always prepared to react. They know where to stand or sit to make the patient most comfortable. They are respectful of both the patient and provider’s space. Mental Health Interpreters know when it is appropriate to intervene, and when it is necessary to advocate for safe working conditions. These interpreters also have a keen awareness of their own limitations. If a Mental Health Interpreter feels that they are not able to effectively provide service in an unbiased way, they will acknowledge this and decline the job, directing the health care entity toward another qualified resource. If the interpreter feels an assignment is detrimental to their own emotional or mental wellness, they must be able to identify this issue and take the appropriate steps to resolve it. Boundaries are important in any professional environment, but the delicate and nuanced nature of the mental health care profession makes boundaries a critical issue. Qualified Mental Health Care Interpreters must be able to draw clear boundaries between their professional responsibility and their desire to help another. Although an interpreter might have good intentions, if they are not the patient’s mental health care practitioner and therefore not ethically in a position to provide services or advice. Doing so can complicate treatment or even endanger the life of the deaf consumer. There are certain situations where mental health care professionals might infringe on the rights of deaf patients. Perhaps the provider decides a course of treatment without any patient input, or they coerce patient to consent to something they don’t understand. Maybe a practitioner recommends an inappropriate course of action, such as putting a deafblind individual in group therapy. Qualified Mental Health Interpreters work closely with patients and service providers to bridge cultural gaps and reduce abuse of deaf rights in the mental health care system. If an interpreter feels the rights of a deaf consumer are being violated, they must be willing to articulate the issue and advocate on the patient’s behalf. Because the mental health care field is so broad and requires detailed knowledge on a breadth of topics, a professional support system is crucial to providing high quality ASL interpreting services. Qualified Mental Health Care Interpreters develop connections with others who work in the mental health care interpreting profession to understand best practice procedures, assist with ethical dilemmas, and share the highs and lows of a career that exposes service providers to raw human emotion. Mental Health Interpreters will have a plan for self care, and work with a network of other interpreters in the same field to normalize their experiences by sharing them. Interpreting is a constantly evolving field, so engaging in an ongoing discourse with other professionals is imperative to maintaining interpreter ethics. This dialogue solidifies best practice, helping to ensure deaf consumers receive the top quality communication services they deserve, at a time when they need it most. LC Interpreting Service is pleased to offer qualified Mental Health Interpreters in the greater NYC area. LCIS places emphasis on serving the needs of deaf consumers at a time when they may feel vulnerable, while working closely with mental health care service providers to help diagnose and treat a wide variety of mental illness.